Major Elevlyn Atherly was an avid enthusiast of the circus and challenged the artist to include all the performers of the circus in one picture and she accepted the challenge despite her husband, Harold telling her she was mad on accepting such an impossible request. 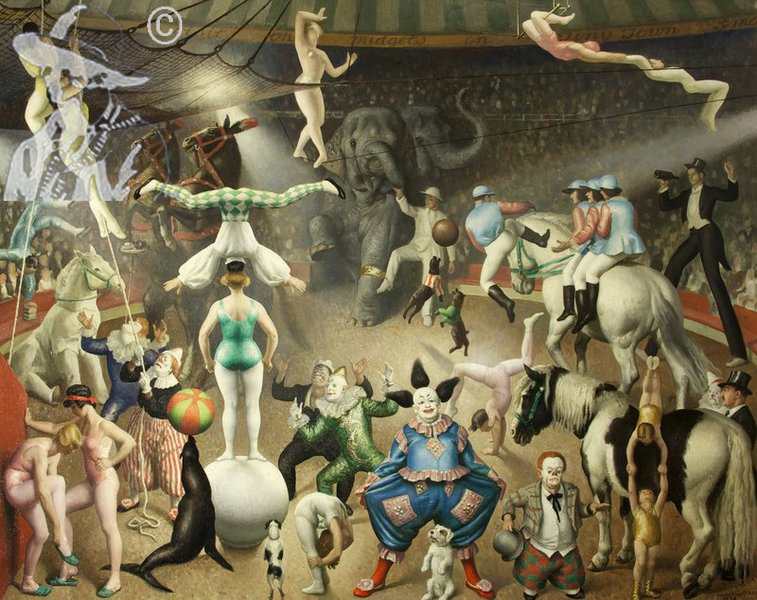 The artist composed her work in her studio over the carpenter’s shop at Mousehole in Cornwall and set about the task from her many drawing of the circus. The painting was given its name by a circus friend of the artist – Goliath the clown at Carmos Circus, he just christened it quite naturally and the artist could not better the title he had suggested.